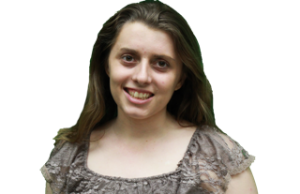 Chelsea Sherlock is a design editor of The Daily and a Medill sophomore. Her past positions include Current columnist, Current profiler, Current TV reviewer, Campus reporter, assistant design editor, Holiday Guide design editor and design editor. She is from Sumner, Mich. Her other campus commitments include Cru and Chi Omega Sorority. She is also an associate editor of Medill Magazine and is the Medill Marketing and Communication press corps chair of Northwestern University Model United Nations.